Starlooks has been on a roll lately... I really loved my February Starbox! I forgot to mention last month that Starlooks recently implemented a rotation system for the types of products that will be sent out. The rotation will be MIXED - BOLD - NEUTRALS. January was a MIXED (bold & neutrals) box, February was a BOLD box, so March should be NEUTRALS. I love this idea and I'm pleased we'll be getting a diverse range of products. These little quartz crystals have been included in every Starbox except December. They are supposed to attract energy and help maintain focus. The other idea is that subscribers can collect them in a glass jar to eventually build a brush holder. I received a decent size crystal this month and have a small collection since I have been subscribed since August 2012 but I still have nowhere near enough for a brush holder! 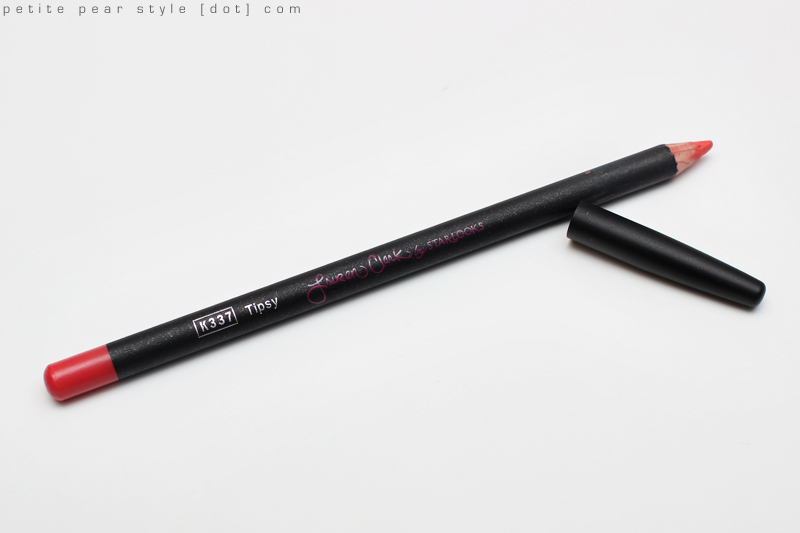 This lip liner is a gorgeous coral colour and I can't wait to wear it all spring and summer! 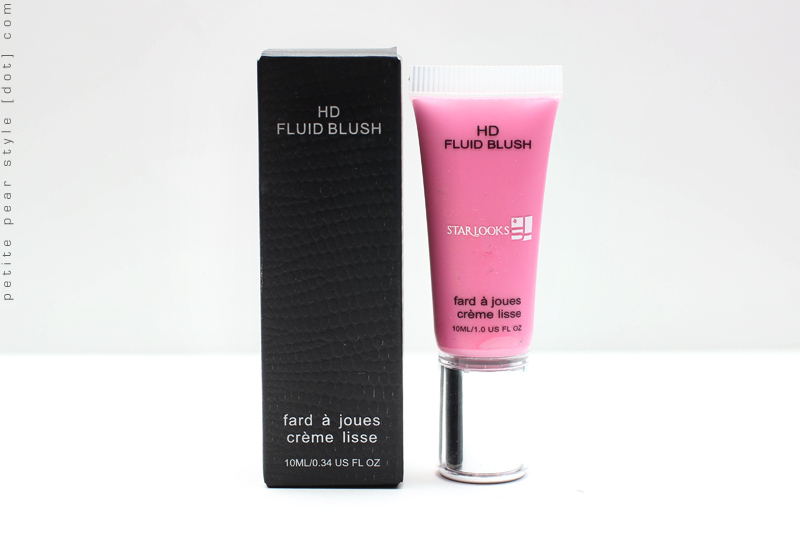 :) It applies really smooth and creamy too - doesn't tug on the lips whatsoever. I'm in love. When I first opened this lip gloss, I didn't think I would ever wear this because the shade pulls very lavender in the tube. The combination of the colour and the shimmer reminded me a little of the 80s. 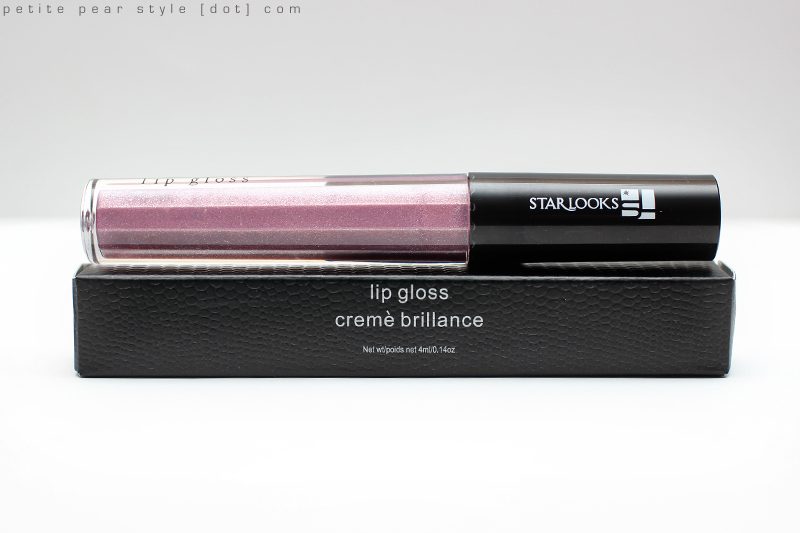 My initial swatch of this product revealed a ton of beautiful reflects in the gloss. I really like this gloss on top of a bright lipstick (or the tipsy lip liner!) but I probably will not wear it on its own because it washes me out a little bit and makes me look very dark and dirty. 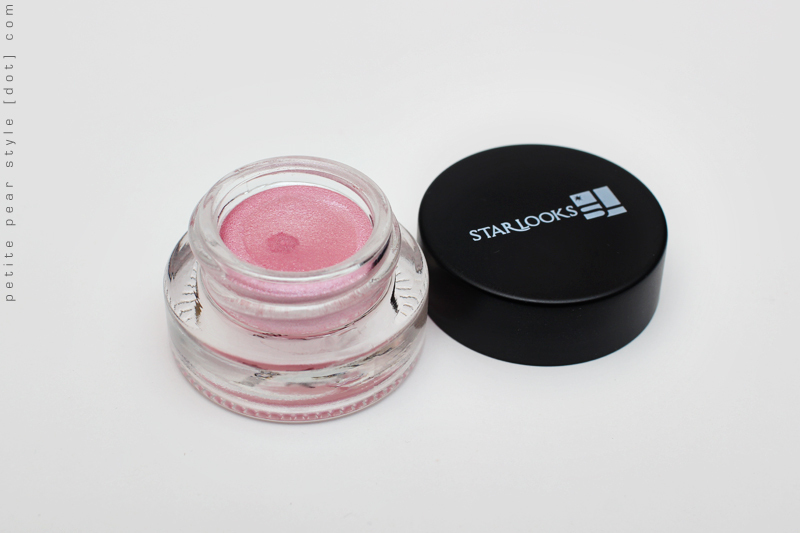 The texture of this lip gloss is lovely... lightweight and not sticky at all. 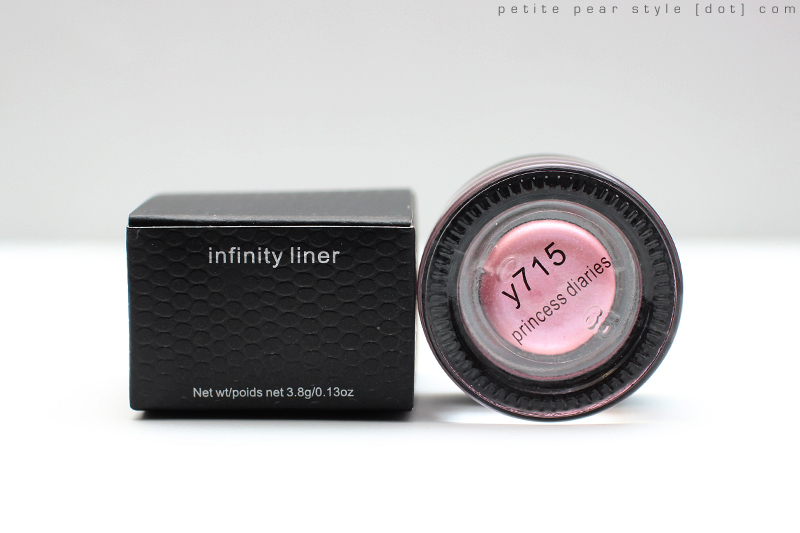 I absolutely loved the infinity liner in sculpture that I received in my first Starbox so I have been eager to receive another shade. At first, I was a little disappointed that this was in a light pink shade as I don't really like to wear pink on my eyes, much less as an eye liner! I tried this product as an eyeshadow base and I really enjoyed it... so much so that I've been wearing it on a daily basis. The pink is very flattering and doesn't make my eyes look bloodshot or swollen like some pink shades do. I can also see myself using this product in my inner corners, on my lower lash line, and as a browbone highlight. This was the product I was most excited to try when I saw the spoilers online. When I finally received my Starbox and swatched the product, I was a little disappointed in the texture. My blush was very thick and dry and also a little bit cakey. It didn't blend very well on the back of my hand and I was doubtful that I'd be able to blend it out sufficiently on my cheeks. I tried applying this product with a little bit of Vaseline but I wouldn't recommend that as it makes the product a little too shiny and slippery and may also cause breakouts for some. After asking for suggestions on YouTube, I tried warming the tube up in my hand before squeezing out a pinprick onto my fingertip. Then I just dot it on my cheek and blend away. It worked like a charm and I am now loving this product. The shade is a true Barbie pink and I find it really girly and flattering. 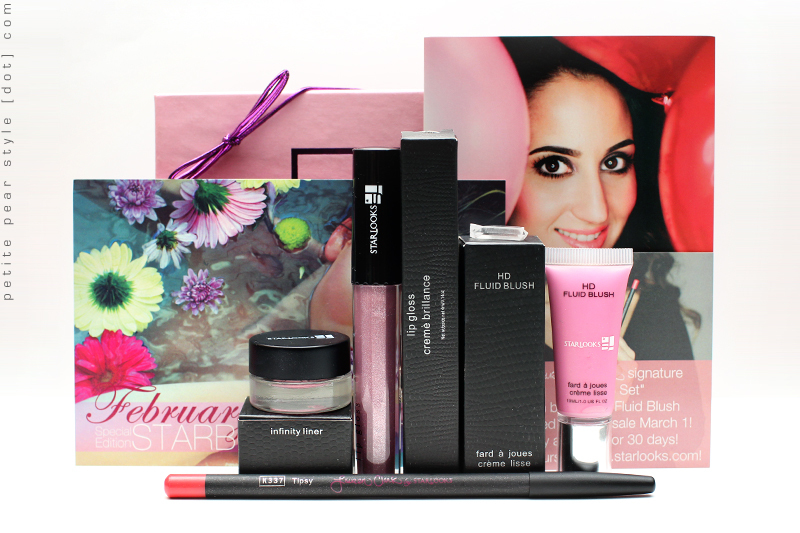 I think the February box may be my favourite Starbox to date and I feel this company is getting better and better as Marci Star (the founder) really listens to subscriber feedback. I am happy I decided to keep this subscription and the quality of the products is phenomenal. Did you receive a Starbox this month? What did you think of the products? Past Starboxes are available for sale on the Starlooks website. Starlooks also has a special Lauren Clark Signature Set for sale, which is different from the February Starbox. The February edition of "Why, Marci!?" has not been posted yet so I will update this blog post when it becomes available. For more information about the company, please check out my August Starbox review. The March theme is Blue and the makeup once again looks amazing. Note: I paid for the February Starbox with my own money.